Papua New Guinea is an island of tropical rainforests, mystical tribes, weird and wonderful wildlife, and incredible underwater landscapes. With a population of more than 8 million people and over 800 different languages, Papua New Guinea is one of the most culturally diverse countries in the world. Popular attractions include the Sepik River, Kokoda Track, and Tami Islands. Get ready for the adventure of a lifetime with cheap flights to Papua New Guinea. The hub air-port of Tuvalu is Jacksons International Airport (POM), which is a 20-minute drive from the capital city, Port Moresby. 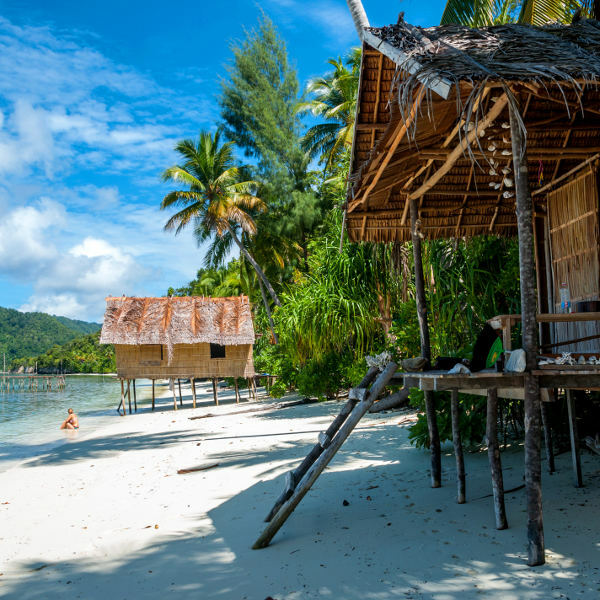 Idyllic and exotic, the beaches of Papua New Guinea are famous for their pristine beauty. Some of the most beautiful beaches include: Panasia Island, Blanche Bay, Buka Island, and Bramble Haven. Papua New Guinea is home to hundreds of tribes that are known for their traditional spiritual beliefs, elaborate bilas (costumes), and Sing Sing shows. 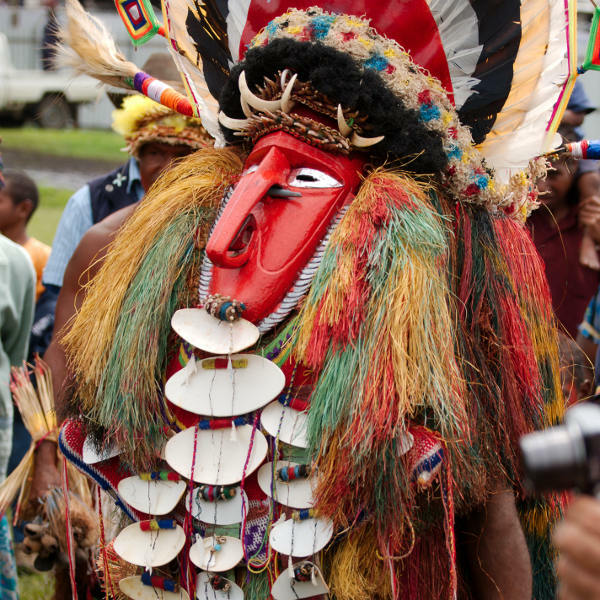 The Goroka and Hagen festivals are legendary. It's not just the culture of Papua New Guinea that is unique. 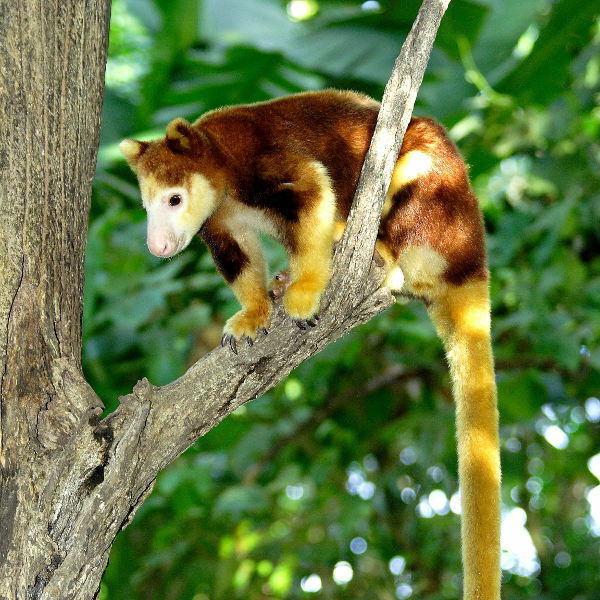 The country is home to dozens of birds of paradise, tree kangaroos, flying foxes, rainforest frogs, and orchids. Papua New Guinea experiences a tropical climate with high humidity and moderate rainfall throughout the year. The dry season is from June to September and the rainy season is from December to March. Typhoon season is usually from December to mid-March. The dry season is between May and October when the weather is great and festivals are aplenty. The rainy season offers sensational surfing and the best visibility for diving is from September to January and from April to June. If you want exotic, Papua New Guinea is the country for you. Everything about this island nation is unique - from the colourful creatures that twitter and twirl in the steamy rainforests to the traditional tribes that inhabit its highlands. Papua New Guinea is made up of about 600 small islands and encompasses the eastern side of New Guinea, the second largest island in the world. Its main islands include the Bismarck Archipelago, D’Entrecasteaux Islands, Trobriands, Louisiade Archipelao, and some of the Solomons Islands. With vast areas of the country wild and undeveloped, Papua New Guinea is famous for its breathtaking landscapes. Volcanic mountains, tropical rainforests, and tangled mangrove swamps ease into gushing rivers that are home to rare dolphins, idyllic beaches, and coral atolls that offer some of the best diving in the world. Papua New Guinea is a country where the winds whisper of wigmen and giant butterflies, steamy rainforests gibber and sing with rare and exotic creatures, and adventure is everywhere. Compare several airlines and book your cheap flights to Papua New Guinea online at Travelstart! Papua New Guinea is a developing country, so using common sense and taking the usual precautions is always a good idea. Using a local guide is recommended when exploring - they know the language and will be able to offer advice about which places should be avoided. The most important thing to remember is that the customs and traditions of Papua New Guinea are considered sacred and should be respected at all times. Familarising yourself with the local cultures and their beliefs is highly recommended. Natural disasters such as earthquakes, volcanic eruptions, and tsunamis are a risk in Papua New Guinea. In the event of a disaster, monitor the local news for updates and follow the instructions of local authorities and emergency services. Proof of yellow fever vaccination is required if you are travelling from an infected country. Several mosquito-borne diseases are present in Papua New Guinea so precautions should be taken to avoid bites. Recommended vaccinations include: hepatitis A & B, rabies, MMR, diphtheria-tetanus-pertussis, meningitis, varicella, polio and influenza.